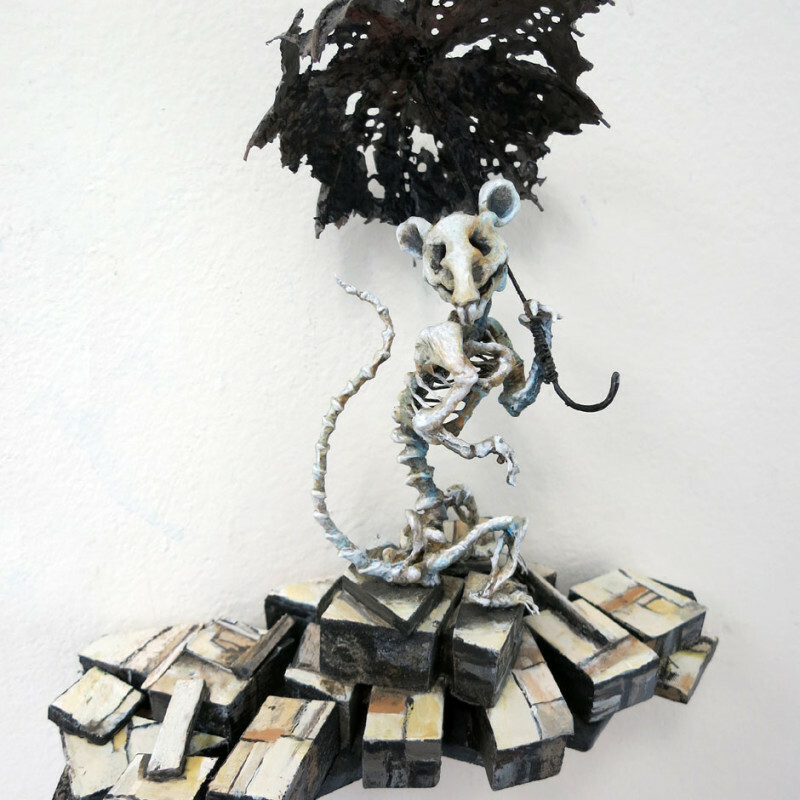 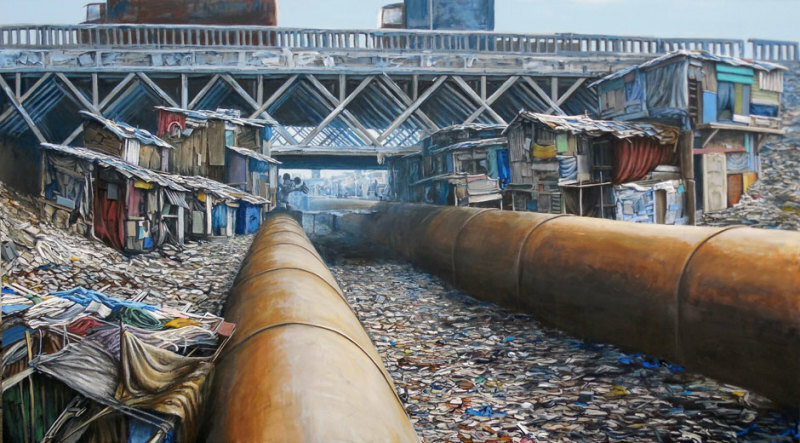 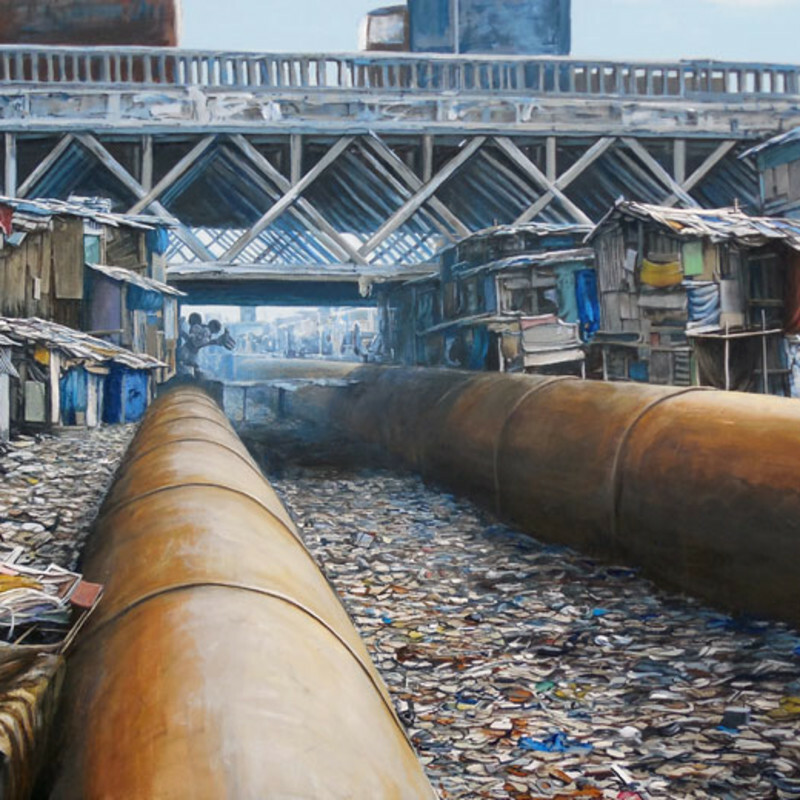 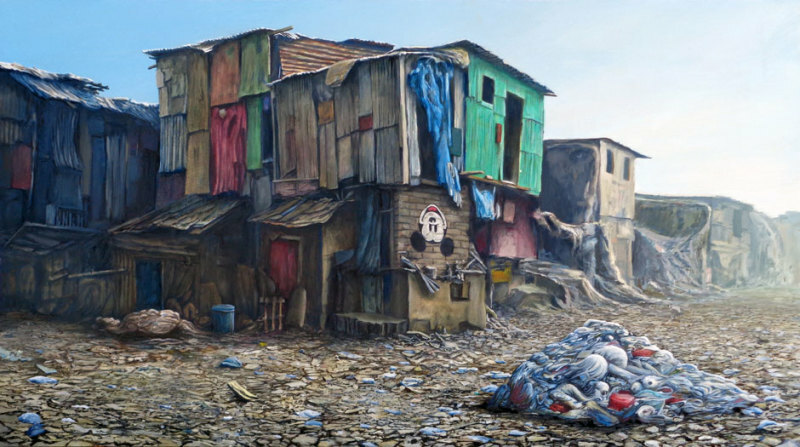 "When I visit third-world slums and landfills I take lots of photographs and videos, painting from them in my garage studio in Orange County within earshot of the nightly Disneyland firework shows." 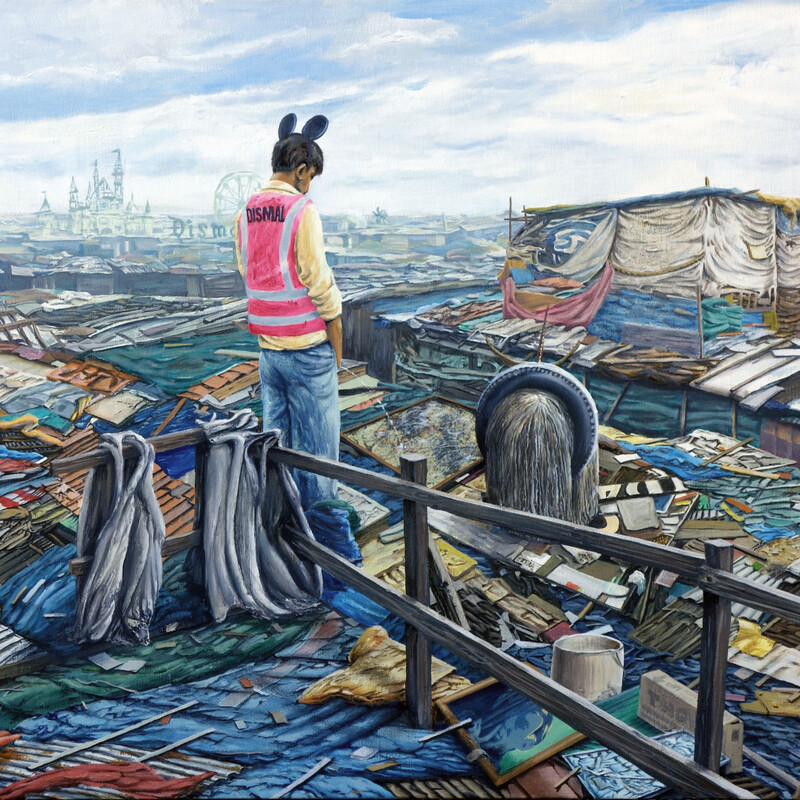 Despite the seriousness of his observations, Gillette sees ironic and amusing juxtapositions that occur when Disney, corporate logos, and pop icons from consumer culture shows up as building blocks of shanty settlement construction.. His works reflect these ironies as well as add a playful dimension to art historical relationships. 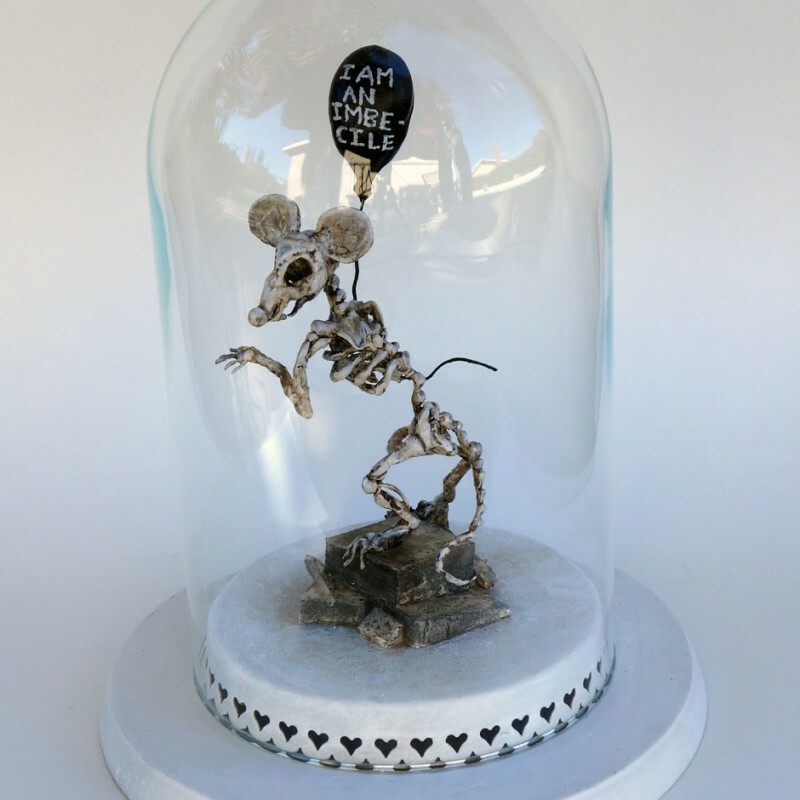 Gillette is well known for being one of the key artists from Banksy’s 2015 bemusement park Dismaland and has even been hailed as an inspiration for the entire event. 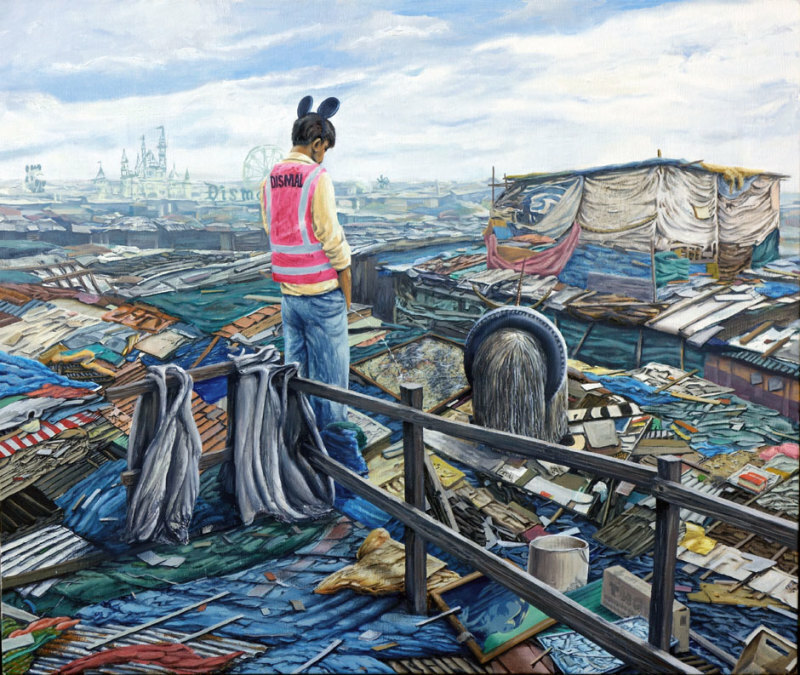 It was reported that he is one of Banksy’s personal favourite artists. 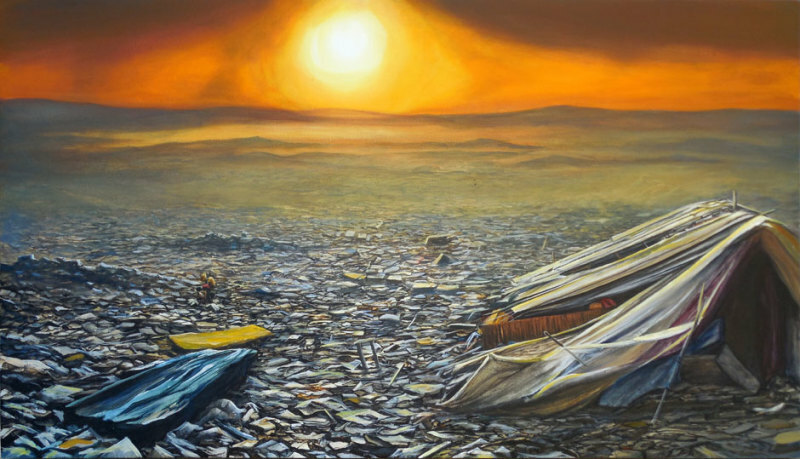 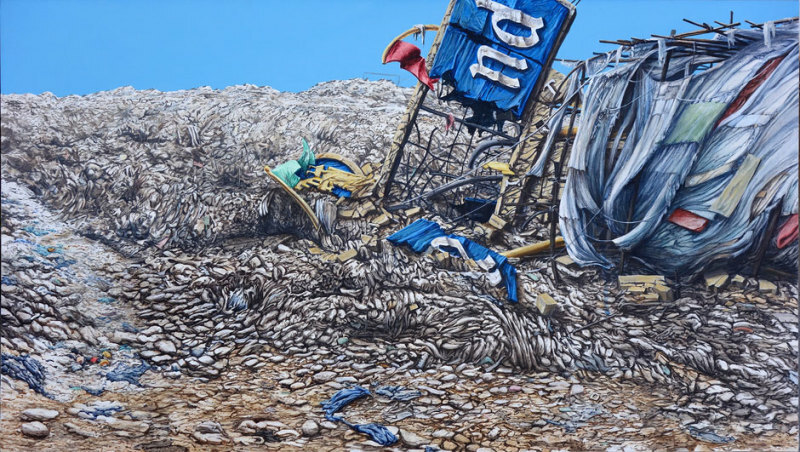 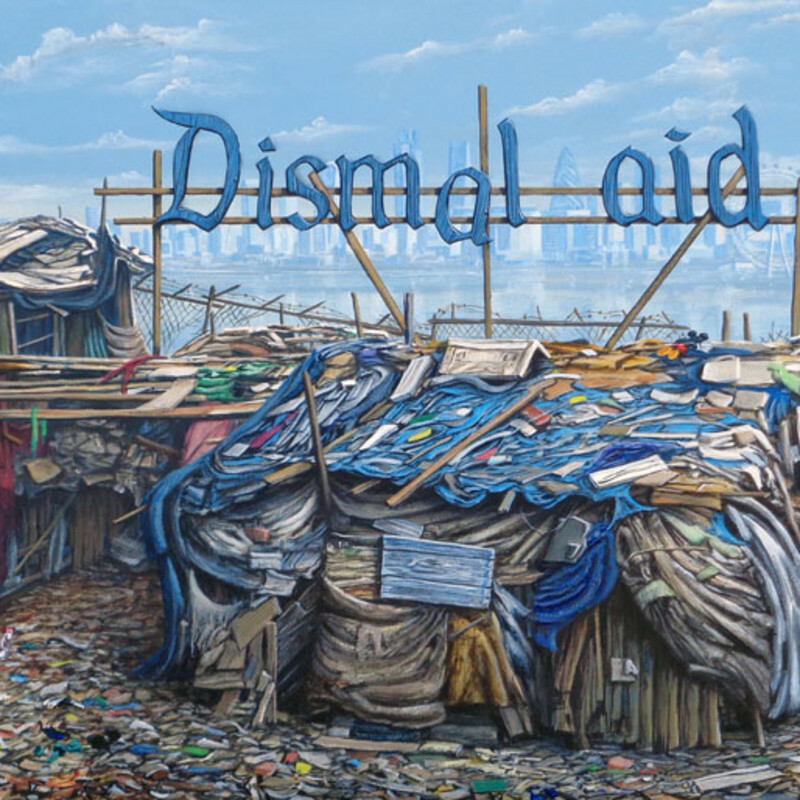 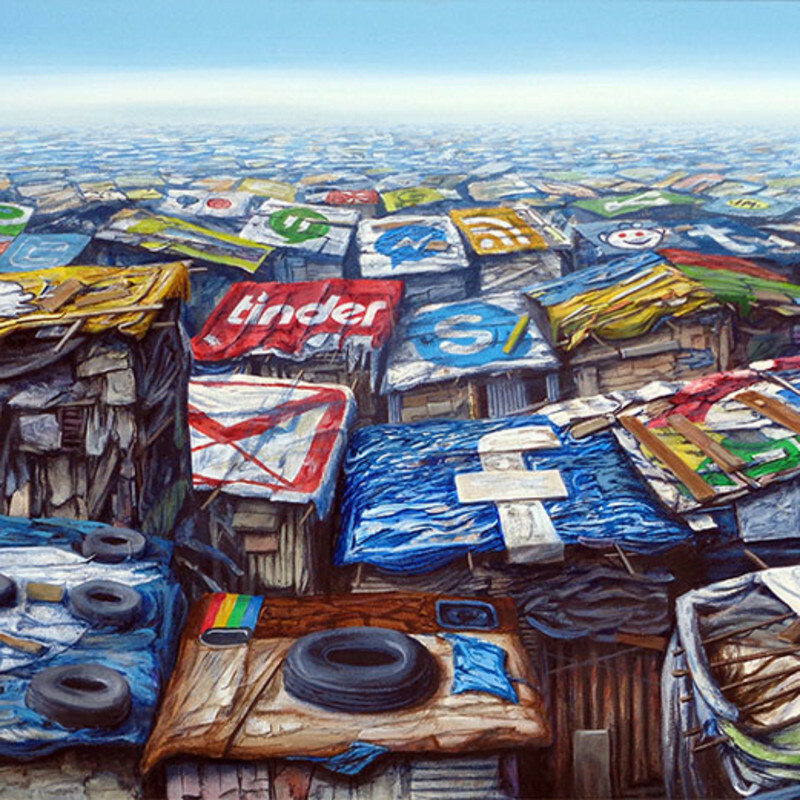 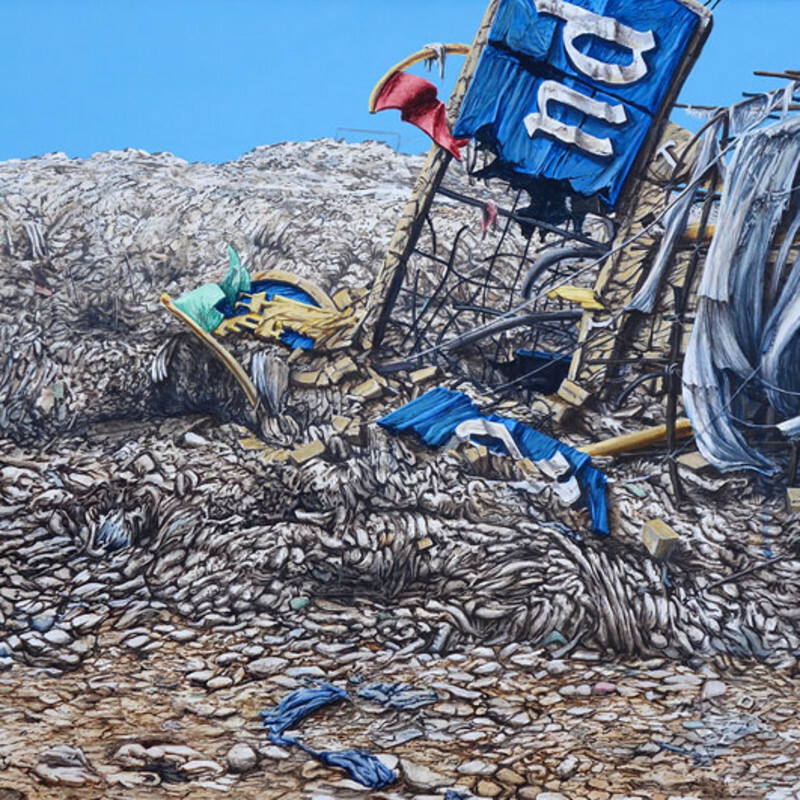 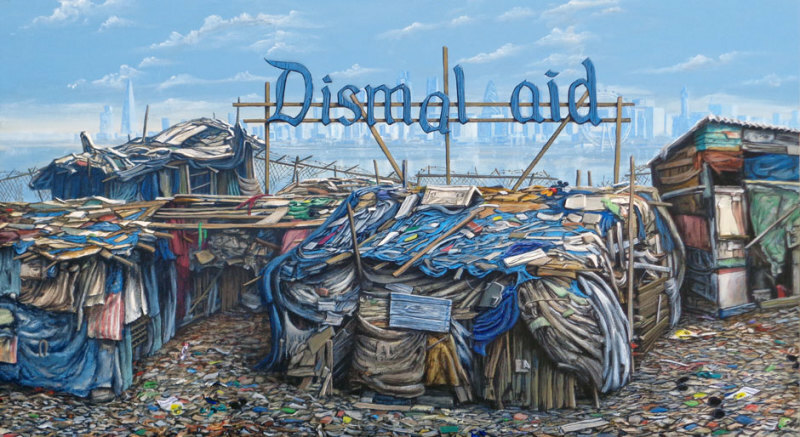 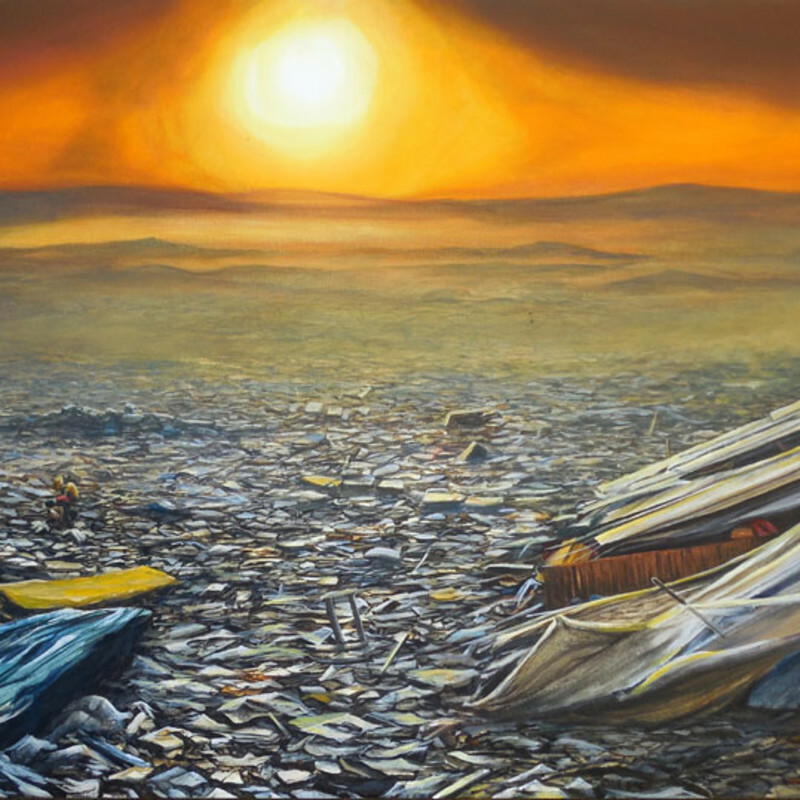 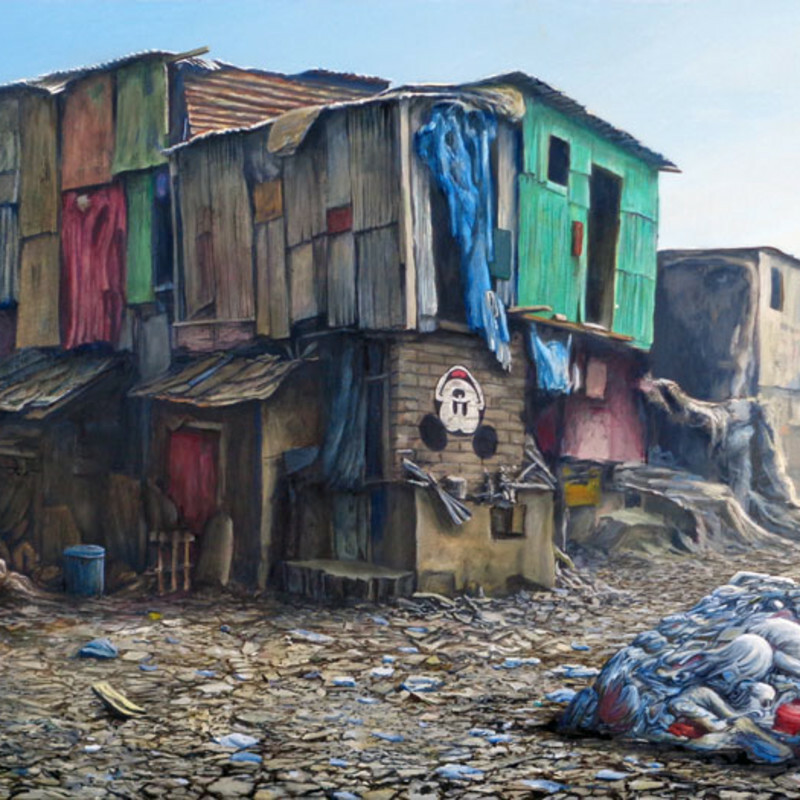 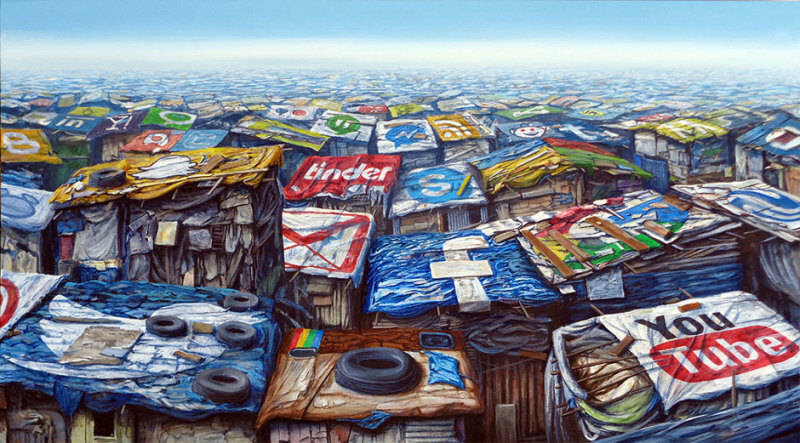 Jeff Gillette will be exhibiting Post Dismal at Lawrence Alkin Gallery from 24 June - 23 July. 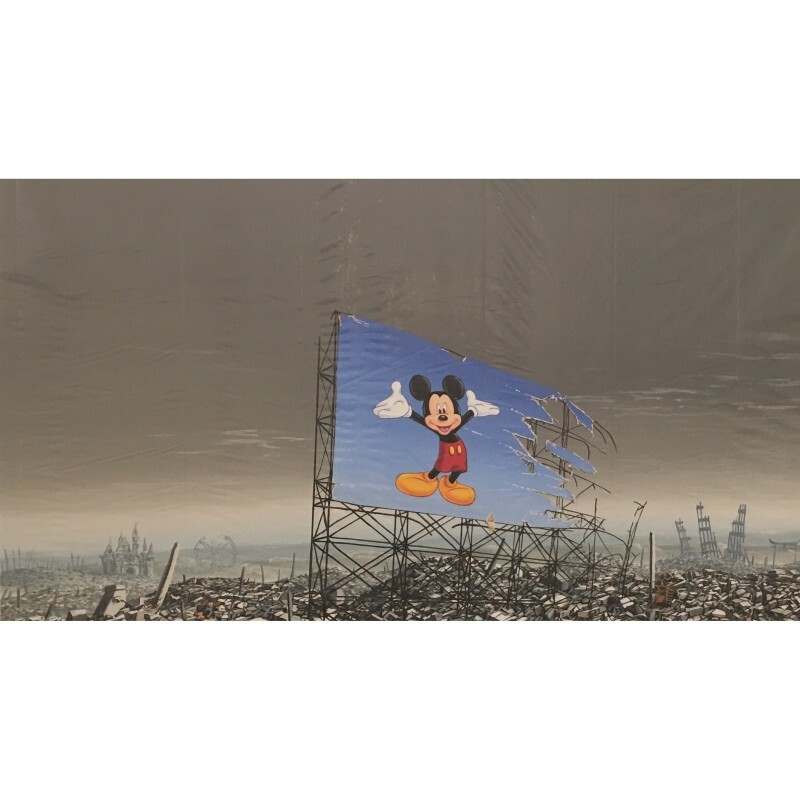 Jeff Gillette has been profiled by KCET Artbound in Los Angeles, as a follow up after he participated in Banksy's Dismaland. 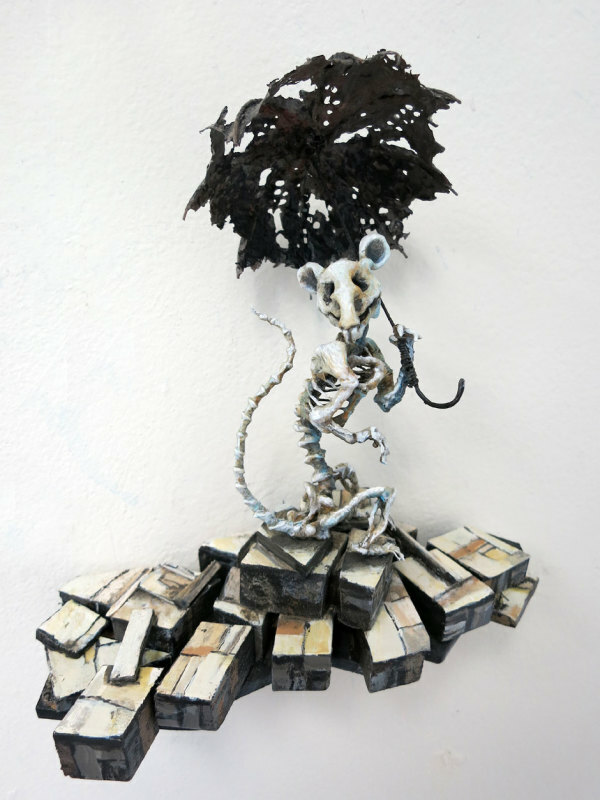 CNN interviewed Jeff on video about his involvement in the exhibition. 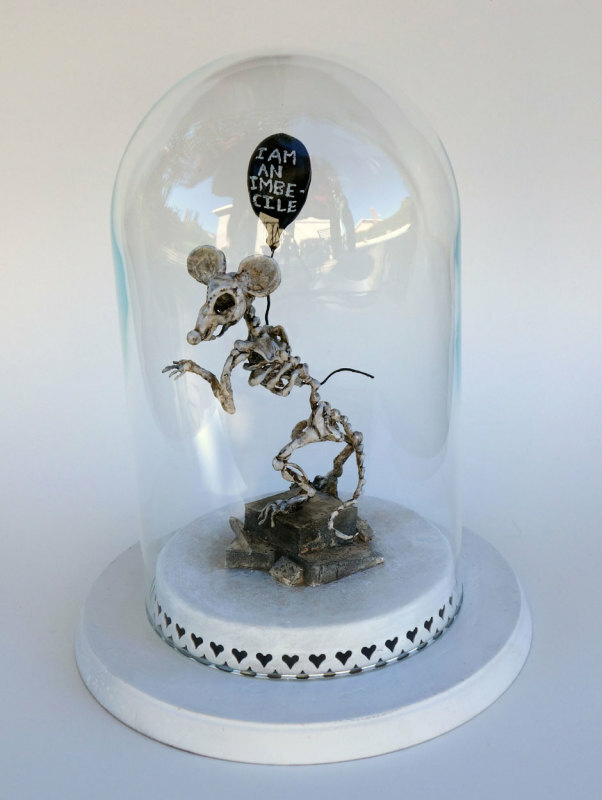 Channel 4 also has a segment featuring Jeff.